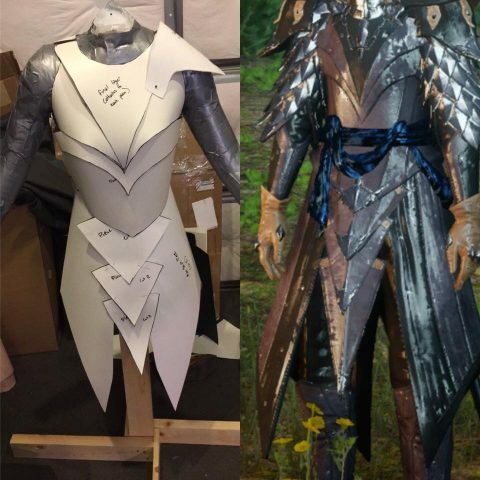 The Making of a Dragon Age Inquisitor Trevelyan Costume « Adafruit Industries – Makers, hackers, artists, designers and engineers! 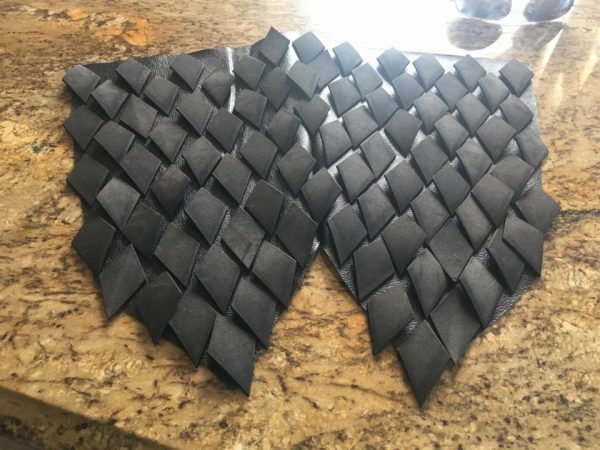 Inquisitors from Dragon Age: Inquisition get their start with foam floor mats — at least they do in the cosplay world. 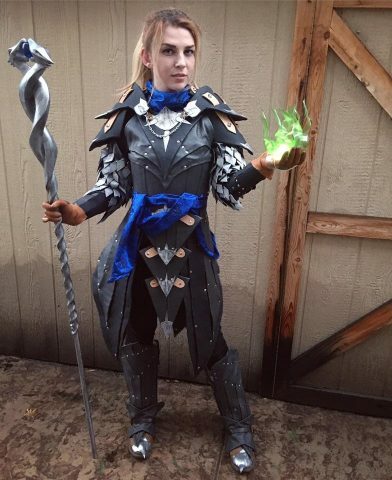 Captain Kaycee Cosplay, who started cosplaying in 2011, crafted her Inquisitor Trevelyan costume last year and began with humble materials like foam and paper patterns. 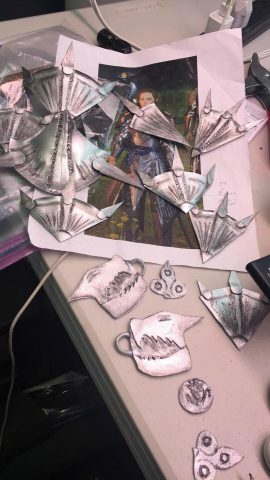 You can see in the photo below how she pieced the paper pieces together to replicate the Inquisitor’s armor. Kaycee had to make the armor, the armored skirt, each piece of scale mail, the staff, and the many other details on display in the image above. See some in progress photos below and visit this Facebook album to view more of the build.